Enter through this whimsical iron art gate and see what wonderful delights and beauty wait on the other side. Maybe you will find Alice having tea with the Mad Hatter, the March Hare and Dormouse. Imagine this or another sculptured iron art gate being your enchanted portal to your garden oasis. 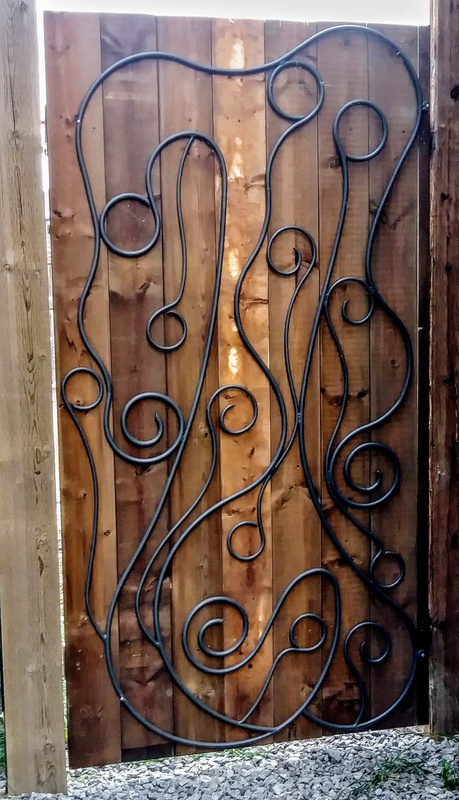 This sculptured iron art gate is 42″ wide by 72″ high and finished in a skillet grey powder coat. 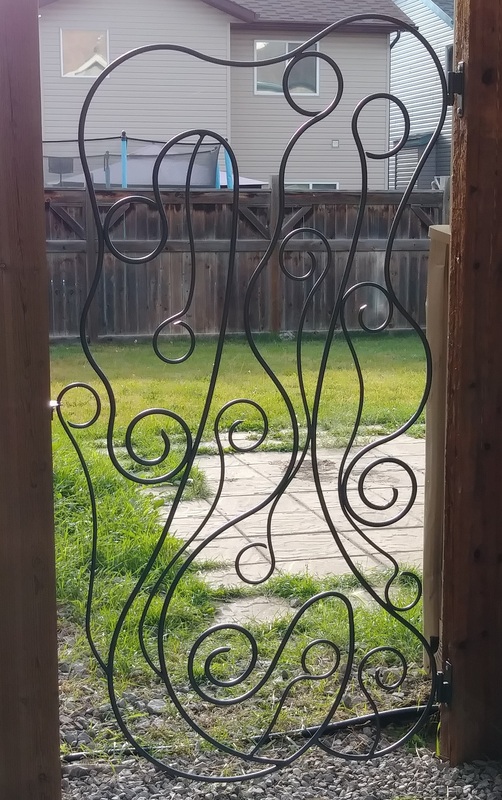 Contact me to commission your own unique sculptured iron art gate.